Since moving from a Hampshire school to a Sussex school in 2013, I have been organising TeachMeet Sussex with Ben. We had been going to TeachMeet Hants at various schools around Hampshire but it was a long way to go. There was nothing similar in Sussex - there were odd TeachMeets organised by certain schools or teachers occasionally but no events which moved around the county termly. We decided that TeachMeets were such useful events which left us fired up for teaching and inspired to try new ideas; we wanted to set something up closer to home. TeachMeets are quite simply events organised for and by teachers in which ideas are shared and discussed. Some TeachMeets involve a few people chatting over a pub meal while others put on elaborate food and drink, 'celebrity' teacher keynote speakers and thousands of pounds worth of prizes to attract large crowds to attend. We decided we wanted something in the middle; an organised event at different schools with presentations from teachers and, sometimes, a free prize draw for attendees. This is absolutely not the only or "right" way to run a TeachMeet; it is simply what works for us and how we want the event to run. 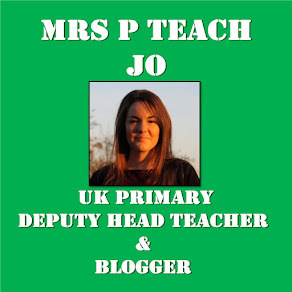 Many people have asked how we set up and organise the TeachMeet Sussex events so hopefully this blog post will give an idea as to what we do. Traditionally, TeachMeet Sussex events are held on Thursday nights. They last from 5pm-7pm to allow people time to get to the venue and to get home to put their children to bed. Generally, they take place in a school hall but can be in a large classroom or a smaller meeting area. After the event, some attendees gather in a local pub for a reasonably-priced meal and further chat about the ideas shared. We aim to have one event each term and we try to hold them in a variety of schools across Sussex. We have had 30 - 80 people attend TeachMeet Sussex events and we keep it very informal; any teachers can present an idea and we don’t have keynote speakers. The events with the highest attendees had prizes from sponsorship companies, were advertised with flyers beforehand and had the headteacher of the school as our main contact. We try to have no more than two presentations from organisations (i.e. not teachers) at each event and we ensure that they are sharing only free ideas. send flyers to local schools via free internal mail. ensure the computer has minimal internet blocks (Prezi, Pinterest, YouTube, Google Drive and Twitter and popular site which people use to present. Adobe Flash is essential as well). a wi-fi code for attendees to use on their phones and tablets to tweet and follow the event. We aim at the school to help set up. This is traffic permitting. Attendees start to arrive for refreshments and cupcakes. In this time we check the technology works for people who wish to use it. First half of presentations. We welcome attendees to the event and presentations start. Sometimes presenter order is chosen by a random generator, other times we specify the order if there are people who need to arrive or leave at different times. There are 5-7 presentations in the first half. 10 minute break to chat and refresh. We hand out raffle tickets or prepare the random name/number selector. Raffle. We encourage attendees to pick a raffle ticket out the hat or we use the random name/number selector. Winners choose their prizes in order of selection. Second half of presentations; about 5 to finish off. We close the event by thanking attendees, sponsors, presenters and host school. We encourage all attendees to help with the clear up and then give directions to the local pub. Each TeachMeet Sussex event is slightly different but we try to keep similarities so that it's easier to organise and our regular attendees know what to expect. Recently, we have started sending host schools a letter which contains information similar to that in this blog post so they know what to expect and provide. We have found this has made the events run smoother because schools have been more prepared. You can find out more about TeachMeet Sussex here and can view upcoming TeachMeets around the UK here. 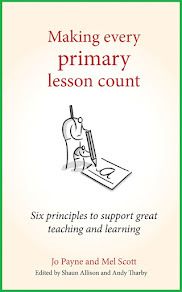 Primary Assessment: How Has It Come To This? Today, in between writing reports I discovered a couple of polls going around Twitter. Both were about what to do about the current assessment arrangements for KS1 and KS2. One asked whether we should strike or not. The other asked whether it would be more effective to strike or to boycott the assessments. My question is: how has it come to this? After a widespread questionnaire last year, a seemingly-serious announcement about tackling teacher workload and the promise of having a year to implement new changes, teachers are now left with mere months to start collecting mountains of evidence and ticking off assessment criteria. It will take many, many hours and will have close-to-zero positive impact on children's learning. Talk about hypocrisy. I recently heard the fact that Jeremy Hunt is investigating the low morale among junior doctors being compared to "Harold Shipman launching an enquiry into patient mortality rates" (Adam Hills on The Last Leg). Would it be criminal to suggest the same comparison with Nicky Morgan investigating teachers' workloads? 1) Teachers go on strike. Potentially, the government listen and change things, perhaps abolishing national tests or teacher assessments this year. This is hugely unlikely. 2) School leaders, supported by their governors, decide to boycott the assessments. They submit no data or put all children as working below expected standard. If a record number of schools don't reach the floor standard then the government must stop lying about the fact that education has improved under the Tories. It would leave OfSTED in a complete mess because there would be too many schools to inspect and many would become RI or below. The problem with this option is that it takes a great deal of confidence for a Headteacher to support a boycott. Also, it would only work if it were widespread enough, covering all authorities. I'm not sure how parents would react if their children have been working towards the new SATs all year. 3) School leaders put pressure on Year 6 and Year 2 teachers to reach or exceed the floor standards. This is the most dangerous but, sadly, the most likely. If we all bow down to the expectations required of Year 6 now it means one thing: lots of cheating. Teachers will be sat by children telling them what to write to ensure they have the evidence for working at the expected standard. High expectations are important but Year 6 teachers have exclaimed online that this is what they are going to have to do to meet the floor standards. This then leaves secondary teachers with no idea of children's true ability and means the government can bleat on and on about how they've raised standards with no mention of the broken teachers, anxious children and foul play which has been created in the process. And, worse still, this relentless rate of change and ridiculousness imposed on us from the government continues. I am not a parent but I have a huge amount of sympathy for those parents of primary-aged children. There is no certainty about their school future except that it will be tough. Tougher than before in terms of content but even more so because of the unknowns. Their headteachers, teachers and parents have no clue how things will look for them in the next couple of years and I can't imagine that's been the situation for many years in primary schools. I always like this blog to be about solutions and ideas for primary classrooms. Recently, it has had to take a much more negative tone because the government has completely lost sight of the children at the heart of why we do our job. Their best interests have taken a backseat to political agenda and media image. I have no solution for this except that teachers have got to have a voice. This is mine. What is yours going to be? Get on Twitter, write a blog, write a letter, sign a petition, join a union, email your headteacher, follow the NAHT, speak to parents, talk to friends; just do something. It's time for teachers to take back the classroom. That is the only solution I can see making any positive difference. Teachers quitting, cheating or boycotting: how has it come to this?